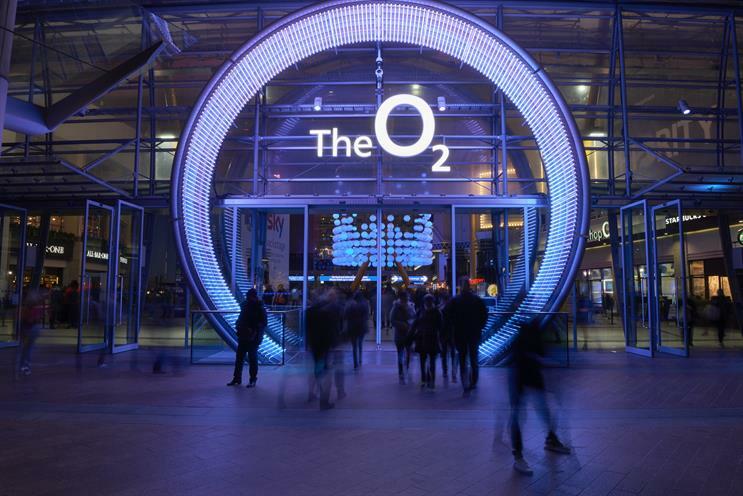 O2 has turned the entrance to its flagship venue into a neon blue light installation where customers are being encouraged to "follow the rabbit". The light show, created by Undercurrent, is designed to fit the O-shaped arch of The O2’s main entrance. The activity follows the launch of the brand’s TV ad "Follow the rabbit" by VCCP. Inside the installation, the synchronised light show is timed to the music of the Chemical Brothers track, which also features in the brand's latest ad slot. The nine-metre-high installation was built over three days with 37,260 control channels over 77 universes of lighting data and manufactured to fit the exact dimensions of the existing entrance arch. The experience will run until March 19 with an estimated 250,000 music fans set to pass through the portal. Undercurrent production director Emily McCorquodale said: "The scale of this installation creates an impressive spectacle for visitors to The O2, as well as huge support for the O2 above-the-line campaign. The track will be played 1,320 times over the installation’s three-week run, giving huge amplification to the ad’s distinctive soundtrack."